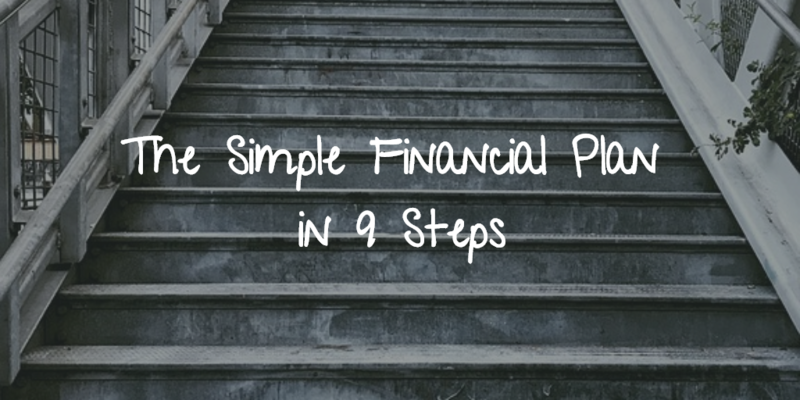 Financial planning doesn’t have to be difficult. Yes, there is a lot of technical jargon and complicated things we do behind the scenes, but many of those things can be listed out in laymen terms. So, we thought it would be fun to list 9 things to do for an excellent financial plan, with or without a financial planner. We are fortunate to be able to call some of the best and brightest minds in medicine our clients. However, it seems like every time they sit down in the hospital cafeteria they come to us with some “unique” idea that they heard from their other doctor friend. It goes something like this, “Hey Chad, I had lunch with Dr. Smith today, and he told me about this great life insurance plan that acts like a pension but with no downside risk.” Or “I grabbed coffee with Dr. Thomas last night, and she said I should invest in her friends new small business, they will be the next Amazon!” Now, while both those statements could be true, we often over complicate our financial lives, and believe it is the next big idea. While it is nice to dream about the next Amazon stock idea or the “riskless” investment solution that is perfect. The reality is that there is no quick fix or get rich financial planning ideas with high probability, there is no replacement to hard work and savings. The biggest factor to your future riches is how much you save today. And while saving is a huge part of the equation, you also have to make sure the proper risk management is in place. Hopefully, you stay healthy and can work as planned for your entire career, but if you have any type of long-term disability, it is nearly impossible to make your plan work. The same goes for any type of large lawsuit. Okay, let's get started 9 easy ideas to build a solid financial plan today, and into the future! These are just about in order of significance as well, you could switch a few around depending on your specific situation. 1) Track your cash flow and budget. Why? You need to see the money coming in and the money going out. Tell your money where to go, if you don’t, your money will go to bad places (I am looking at your Starbucks, those “must-have” heels, and that “can’t miss” sporting event). Good tools: Mint.com, YNAB, & Personal Capital. If all else fails, a pen and paper will do just fine. 2) Pay your credit cards off in full each month. Why? Even with the best credit score, your interest rate is probably north of 15%. When we see clients struggle with credit card debt, we usually switch them over to a cash budget. Credit card swipes are painless, and it is easy to use them with no remorse. However, handing cash over has a different emotional connection. If you can’t pay your credit cards off each month, try using cash for a few months for discretionary spending. This is why the envelope system from Dave Ramsey is so powerful. Cash has a deep emotional connection to us. Good Tools: You and your willpower. 3) Fund your emergency fund. I can’t say it enough, the emergency fund is vital. It has to be listed in almost every blog post I write. Heck, we literally have a “tag” for all our posts with the topic of emergency funds. Many get overwhelmed when they see these large goals over emergency funds, but you can start slowly. We use a generic number of $20,000, but we know you won’t get there immediately. So start with a small goal of $1,000, with an auto-savings for $200 per paycheck and continue to grow your emergency fund. Here are some guidelines we have used in the past. Good tools: Set an auto-deposit directly to your emergency fund. Your emergency fund should be a separate fund. Why? Long-term disability is meant to insure against an injury or illness which will keep you out of work for a long duration. This is completely different than a workers comp type issue, so don’t confuse the two and think you have coverage. Numerous studies show 1 out of 4 of us will face a long-term disability event, the top 4 claims musculoskeletal, cancer, injuries, and then cardiovascular. Good tools: Your best place to start is with your employer, most employers will offer a group long-term disability option. Now, it may not be the world’s best coverage, but it is better than nothing. After that, get a few quotes for you via a private policy. Why? If you are single and no one relies on your income or no one is responsible for your student loan debt (ex: Co-signor on student loans), then you may not need life insurance just yet. However, if you are young and healthy, it may still be a good idea to lock in a low-cost term policy. Just about everyone else should have some form of life insurance. Term life insurance is very inexpensive, and $1,000,000 - $2,000,000 is a good starting place for many. Good tools: You probably have the option to add some group term insurance from your employer which is a good starting place. A group policy can be good for some and bad for others. If you have had some health issues in the past, your group plan could be much lower cost than a private plan. Why? Well, you are being “grouped” with other employees to spread out your risk. However, if you are healthy and can obtain a good health rating, a private policy may be lower cost. Moral of the story, shop around, get a few quotes from private insurers, and review the cost of your group plan. More details on what to look for. 6) Maximize your employer retirement plan. Why? Many employers offer a 401k, 403b, and/or some type of qualified plan. Take advantage of it! Hopefully, they offer a match of some sort, but even if they don’t, this is the easiest way to get started. If you are under the age of 50 this “bucket” allows you to save $19,000/year (2019), and if you are older than 50, you can save $25,000 (known as a catch-up of $6,000). We won’t dig into the tax advantages or the Roth option to keep this simple, but just save! Good tools: Your employer’s retirement plan. Ask HR for more details. Don’t get overwhelmed with investment options, there should be a 401k representative to help you, and worst case scenario pick a target date fund that coincides with your estimated retirement year. 7) Maximize your other tax-advantaged savings plans. Why? If the bucket above (employer retirement plan) is filled to the brim, then look to save another $6,000 or $7,000 if you are age 50+ (2019) into an IRA or Roth IRA. Good tools: While the investing world can seem daunting, it is very easy in today's world to set-up an account at places such as Fidelity, Vanguard, or TD and open an IRA/Roth IRA. Again, don’t get overwhelmed by the investment options. If you don’t want to put in the research to build a diversified portfolio, pick a target date fund that coincides with your estimated retirement year. 8) Save enough to taxable investment accounts to help accomplish other goals (ex: early retirement, vacation home, etc.). Why? Truthfully, if you just filled the two buckets above, you would be way further than many of your peers. However, if your goal is financial independence, retire early (FIRE), then you will have to be more aggressive with your savings. Now, would be the time to open a taxable account for excess savings. Good tools: The easiest way to do this, open a taxable account (individual or joint) at the same custodian as your IRA/Roth IRA. Most custodians have allocations tools you can use for suggested allocations, here is an example from Vanguard. So if you are sick of target date funds, this can show you an allocation suggestion based on your responses. Hopefully, all your debt is paid down and/or a strategy is in place to pay it off (ex: student loans and public service loan forgiveness). If all the other items above are completed, start to pay down other debts more aggressively. Start with the highest interest rate first. Once all debt is paid off, start to pay more on your mortgage principal each month. Okay, so what are we looking to accomplish here? This is not a precise financial plan, but if I met you at age 30 and you said “Chad, I don’t like you or financial planners.” But you followed these steps up until retirement, and we met again at age 50, I “think” you would be in a pretty good place. Essentially, you would be tracking your cash flow to make sure there are no holes in the ship, you would have a fully funded emergency fund, your risk management would be in good order with disability and life insurance in place. You would have maxed out a 401k and IRA for the past 20-years, and maybe even started a taxable account. More importantly, you have no debt besides a mortgage. If I met that fictitious person, I would be pretty impressed and would assume their financial future would be bright.